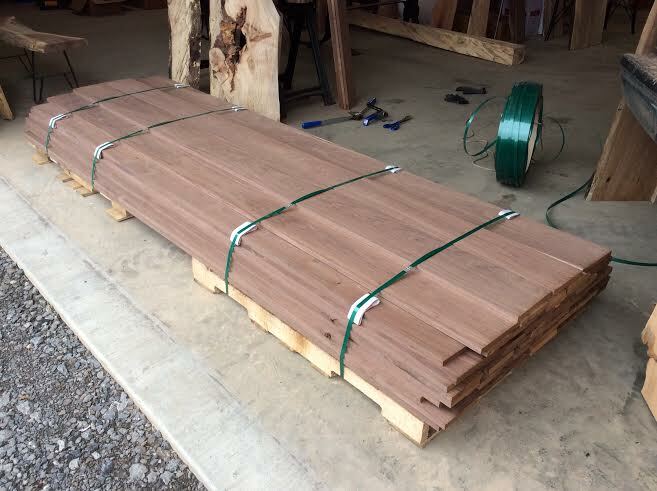 Ohio Woodlands strives to ship within 24 hours upon receipt of payment. 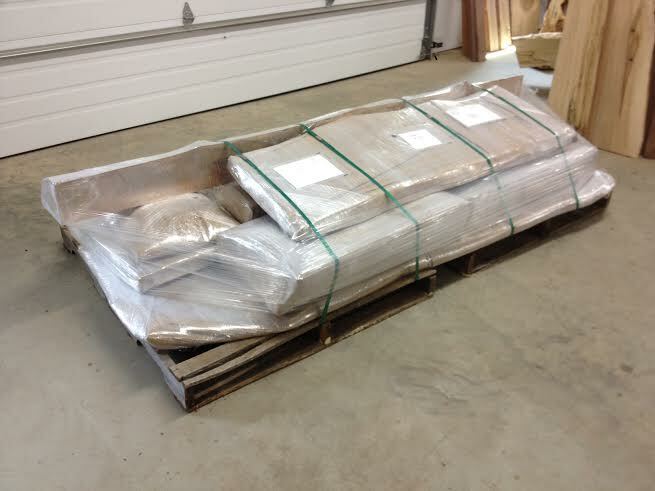 Shipping Live edge wood slabs across the country. UPS Ground is our primary shipping service. 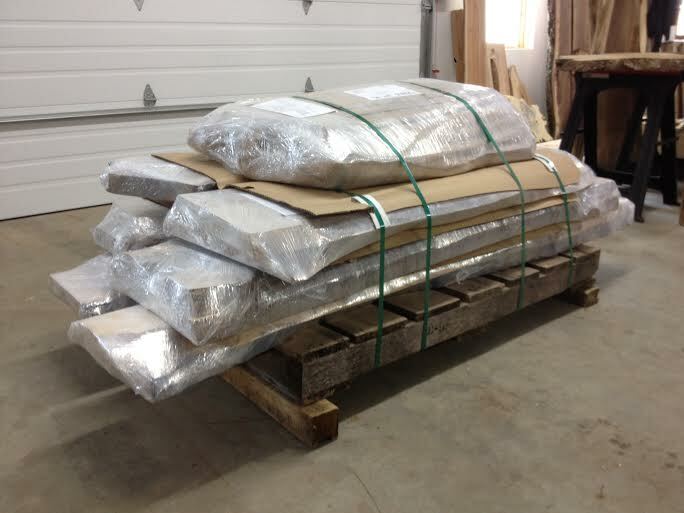 We offer freight service as well. Over 16,000 slabs/steel bases sold since 2007. You can calculate shipping within the website. Simply find the item you are interested in and click "add to cart". The next page will give you the ability to enter your shipping zip code. 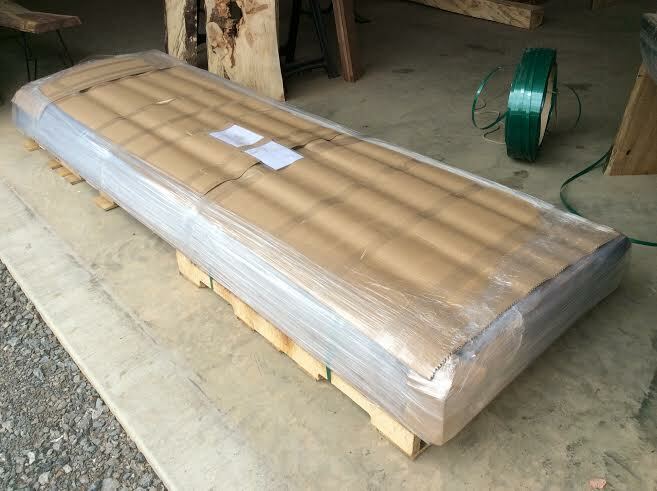 The shipment price is based on buyer location and the total dimensions/weight of the item(s). 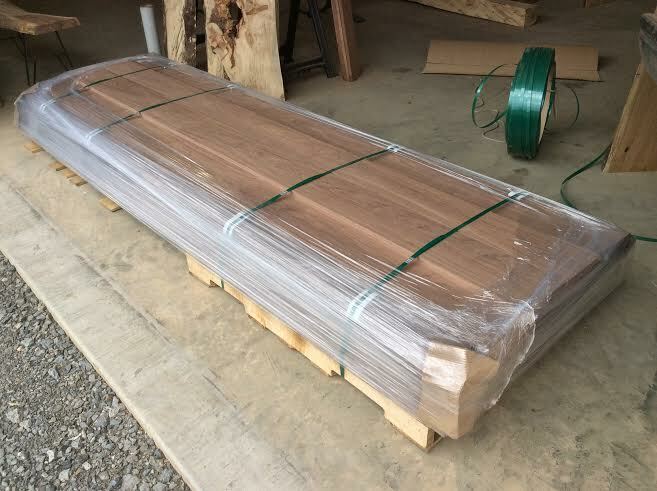 UPS Ground is used for any item(s) that are less than 108 inches length and under 150 pounds. Items are completely wrapped in layers of thick cardboard for protection. 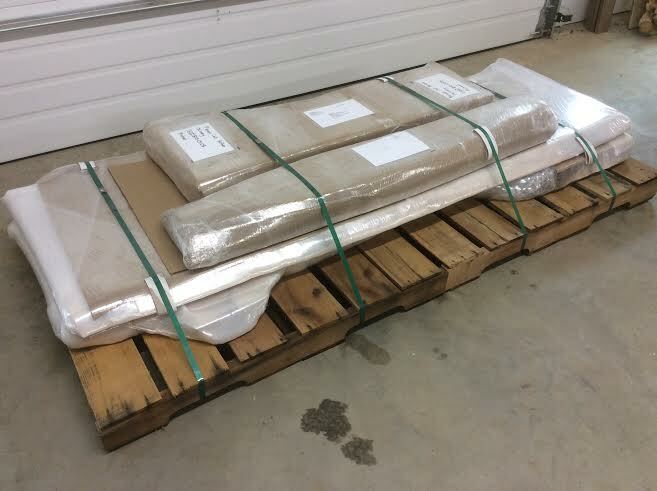 Any items that are over 108 inches length or over 150 pounds will be shipped freight. Please contact us if a freight quote is needed. Pick-up is welcomed for any item(s). We strive to ship within 24 hours of any purchase. 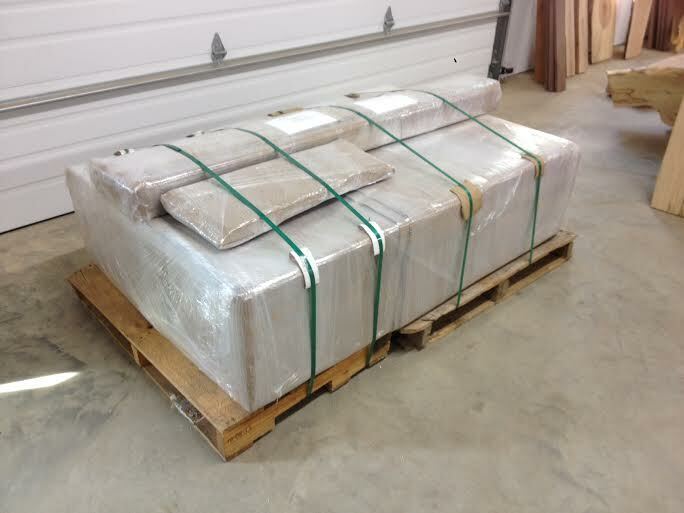 We also offer a daily UPS pick-up so items are shipped quickly. Items are securely packaged in several layers of fluted cardboard.